Great beginner bass with classic look and sound! The Jack&Danny JB Vintage 1975 Bass possesses a solid Alder body and a bolt-on Maple neck and a Maple fretboard, which work together to produce a crisp address and enduring sustain. The slim neck with conventional dimensions is incredibly comfortable, even for beginners and offers ideal playability for fat grooves and swift solos. Two classic single-coil pickups ensure for an authentic sound, with transparency and dynamic for every genre and with fully developed mids and singing highs, even in the heavies band sounds. The passive electronics with two volume controls and a tone blend offers a highly versatile sound. The vintage style bridge guarantees perfect intonation and string action of the Jack & Danny JB Vintage 1975, while robust tuners lend it great tuning stability. The authentic vintage look of this great beginner’s bass is accented by black block inlays in the fretboard and the three-ply pick-guard. The Chinese company Jack & Danny is one of the largest and most famous guitar manufactures in the Far East. World-renowned brand name manufacturers have many of their less expensive models made in large numbers by the master luthiers of Jack and Danny. For over 10 years our customers have been very satisfied with these Jack & Danny instruments. The extremely low number of returns speaks for itself! 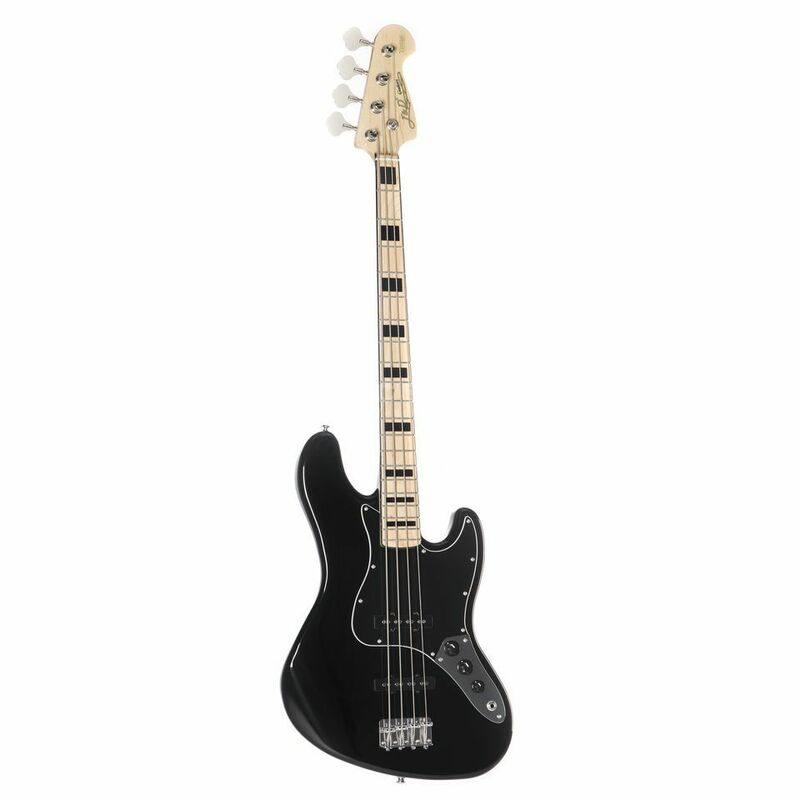 Very nice model, better than any Squire, and much cheaper! Very nice woods and details. About the Music Store service, all 5 stars, very fast shipping and all items very well protected. Im very satisfied and will buy again. Amazing price/performance! I expected lower quality for this price, but this J&D bass caused me a big positive surprise. The maple fret board with the black inlays looks gorgeous. Heavy, but acceptable. Good action and fine sound. Perfect for first bass but with a better pickup can be a nice piece to have for advanced players too. This is my second bass ever, the first one was two times more expensive, but this is much better. inlays looks very beautifull. A little bit heavy, but acceptable. Good action and fine sound. The Music Store service was very fast shipping all items and they came very well protected. more expensive, but this is much better.